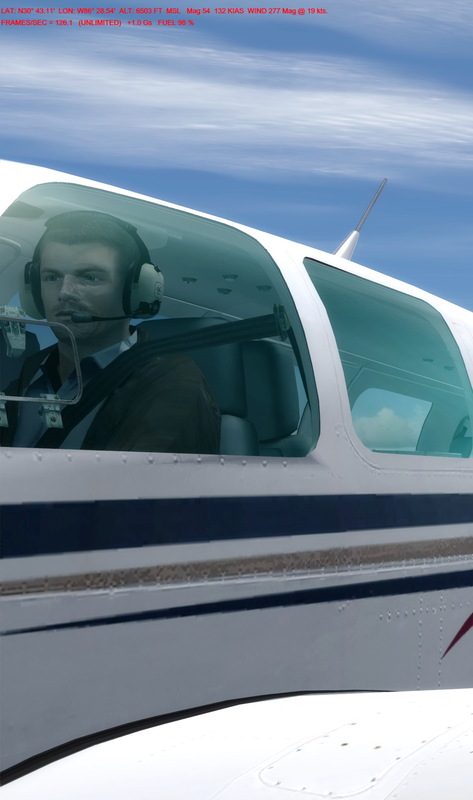 Received a number of inquiries recently from friends who asked for advises why their FIPs (Flight Instrument Panels) no longer work after upgrading to P3Dv4. Causes are in general similar — the exe.xml and/or the DLL.XML are missing. Because these two files don’t come with the simulator nor created by the Saitek drivers by default. Moreover, the latest FSUIPC5 is also a prerequisite. Although the program architecture of Prepar3Dv4 has moved from 32-bit to 64-bit, one should not henceforth assume that its associated environment (sky, cloud, sea, ground) texture data would have been upgraded accordingly. Actually they are largely the same as those used in previous P3D versions, and in FSX as well. Only a limited number of files I found so far have been changed or converted into a different format. With the new FTXCentral 3, all Orbx Global and Continental Regions are added to P3Dv4 without any difficulty. However, since none of the airports from the company is available for the new version at the moment, I therefore installed (copied) my favorite airports — Bowerman (KHQM), Concrete Mun (3w5) and Darrington Mun (1S2) — straightly from previously ripped backups. No issues spotted so far except control panels for the airports no longer function. Followings are the P3Dv4 Settings on my new computer before Orbx addition to come next, with which overall frame rate at present stays around 53 stably except in those extremely dense areas. One of the most important tunings to me after upgrading to P3Dv4 (actually any update or upgrade) is to ensure the continuity of the newly reinstalled or copied aircraft to be run as they did in the previous version consistently . This post is originally the first aritcle in the “My P3Dv4 Setting Up” series. However, since I do normally perform the configuration back up mentioned in the second article first, I therefore rename this post to #02 and the second post #1. Publishing time adjusted as well to reflect the proper order. As stated in the About FSX Times of this blog, my goal is to achieve a stable flight simulation system performance with a minimum 30 fps in average. Luckily, I’ve been able to achieve that goal with some compromises. But unluckily, that 30-something fps level also acts like a barrier that stops me from passing. I am not sure yet whether the 64-bit P3Dv4 and my new hardware would help break this spell for good. But the 120 to 210 fps initially gained from the new system without any tuning seems like a promising start. Actually this is the second piece in the “My P3Dv4 Setting Up” series of articles. However, since I normally do the back up before migrating FSX aircraft described in the last story, I therefore name this post #01 and rename the last one #2. Publication time is adjusted as well for proper display order.